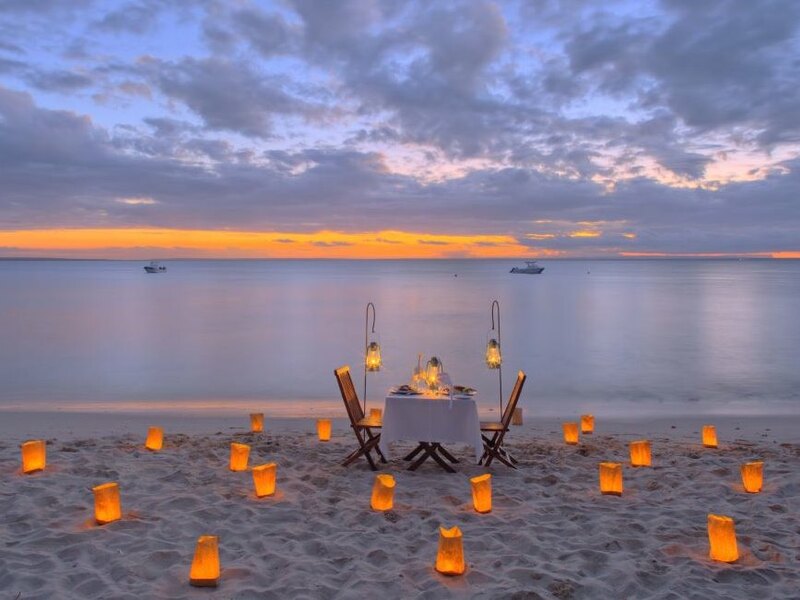 couples looking for solitude will delight in pretty much always being able to find a deserted stretch of soft, white sand fringed by clear, turquoise hued waters – although you may find yourself sharing them with a nesting turtle! 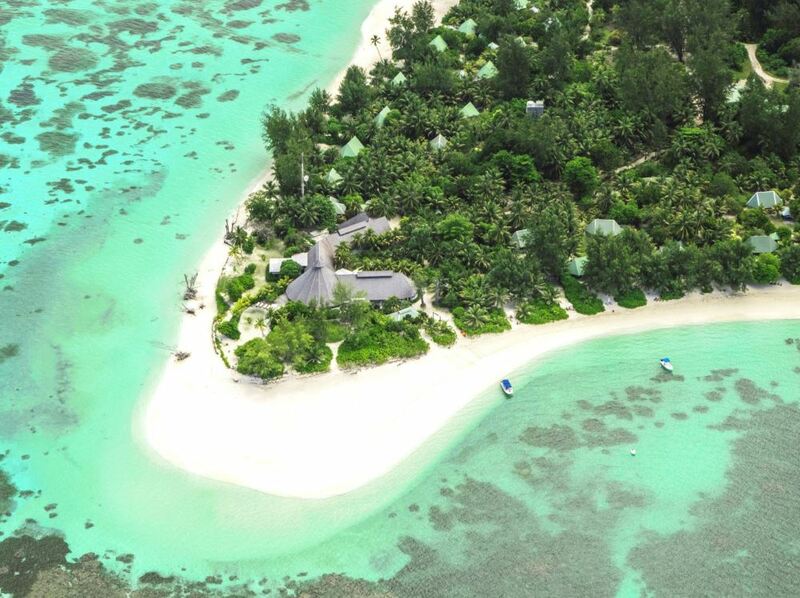 Probably the ultimate experience for visitors to the Seychelles is to stay at one of the handful of “one island, one resort” lodges – in many cases (such as the famous North Island or Fregate Island) the price tags that accompany such stays are enough to make all but the very wealthiest business tycoon’s eyes water! Whilst it’s still pretty pricey, Denis Island is a far more reasonably priced option but it still gives its guests many of the benefits that the mega-priced lodges provide – including wonderfully unspoiled natural surroundings, loads of outdoor activities and the peace and solitude that come with staying in a small, intimate lodge far away from the relative hordes of holidaymakers on the main islands. Denis Island is located right on the northern edge of the Seychelles Bank, about 95 km north of Mahe and easily reached by daily flight from the main island. 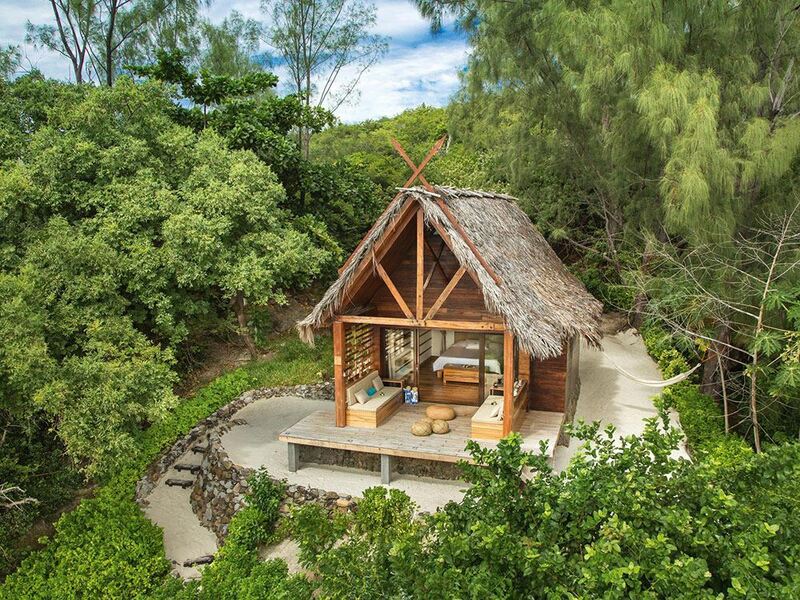 What Denis Island lacks compared to the mega-priced lodges are the decadent levels of luxury and décor magazine styling that the likes of North Island boast (then again the price tag is also a fraction of what you would cough up there!) That’s not to say though that you’re not going to be comfortable – on the contrary the 25 island style cottages scattered amidst the thick vegetation are spacious and comfortable and are all within about 30 metres of excellent sandy beaches. And with generous spacing between them they’re also nice and private. Following a recent refurb the interior styling is now much more up to date and well equipped - the cottages boast air-conditioning as well as inside/outside bathrooms featuring twin vanities, walk-in twin jet shower, large bath as well as an al fresco shower. The main public buildings have also received a makeover that have brought them bang up to date, especially the very contemporary lounge area with its exposed stone-clad walls, cool cream, tan and marine green colour scheme, not to mention a host of funky decorative elements including some stunning hanging light fittings. The main thatched building also houses the restaurant as well as a lovely sunken cocktail bar perfect for relaxing over a tall glass of something chilled and delicious whilst comparing your day with fellow guests. And there’s plenty to keep you happy whether you’re looking to do loads of activities or just relax. First up are the pristine deserted beaches which encircle the island: couples looking for solitude will delight in pretty much always being able to find a deserted stretch of soft, white sand fringed by clear, turquoise hued waters – although you may find yourself sharing them with a nesting turtle! About the only criticism you might have is that, as a coral island versus the granitic main islands of the Seychelles, Denis lacks the spectacular giant granite boulders that stud the beaches on islands like La Digue or Praslin and make for such photogenic landscapes. Also on the island you can play tennis on the floodlit court or wander (or if you’re really energetic jog) around the meandering sandy pathways that cut through the thickly forested interior of the island. But it’s on and under the surface of the brilliant ocean surrounding Denis that perhaps the island’s most outstanding attractions lie. There’s superb escorted snorkeling and scuba diving trips arranged by the PADI dive centre, whilst kayaking, windsurfing or sailing are on offer should you want to explore the surrounding waters. Another major highlight is the fishing on offer – the massive drop offs nearby mean that these waters are teeming with big game fish including world record dogtooth tuna as well as marlin and sailfish! Another challenge is pursuing bonefish on the island’s flats by fly. After a day of salt and sun there’s nothing better than returning to a pampering in-room massage after which you will probably feel you’ve earned an ice-cold drink (or two) before dinner. Speaking of food, this is consistently highlighted as one of the strengths of Denis Island – and little wonder too given that the waters offshore are teeming with tasty fish not to mention that the island has its own little farm producing a variety of the freshest produce imaginable. Enjoy a delicious dinner by lamplight on the beach with the crabs scuttling around on the sand and we dare you not to want to return to Denis very soon indeed!